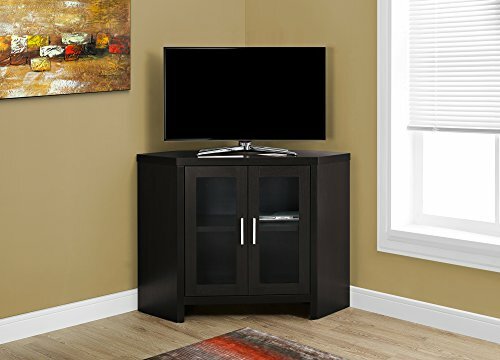 Monarch Specialties Cappuccino Corner with Glass Doors TV Stand, 42"
This 42"L corner TV stand is a modern and versatile addition to your home entertainment setup. Fitting nicely into the corner, it will free up valuable floor space and open up your living room making it the perfect space saving unit. Electronic components and accessories are kept organized in style behind two glass cabinet doors. Wrapped in a warm cappuccino finish that will blend well with any decor this tv stand will be a great adition to any entertainment room. If you have any questions about this product by Monarch Specialties, contact us by completing and submitting the form below. If you are looking for a specif part number, please include it with your message.